Transform your business into an entertainment marketing powerhouse and turn your customers into an audience. With a completely flexible customer database, the Softix platform can be configured to match your marketing and customer service ambitions. Our ticketing applications help you turn your customer data into sales with targeted email marketing, personalised online content, detailed analytical reporting and more. If you work with third-party data sources, you can import and export customer data, or integrate using our real-time web service API. At the same time, you can keep years of customer data and transactions on hand, without sacrificing system performance. Flexible CRM Database Quickly add new fields and segmentation options. 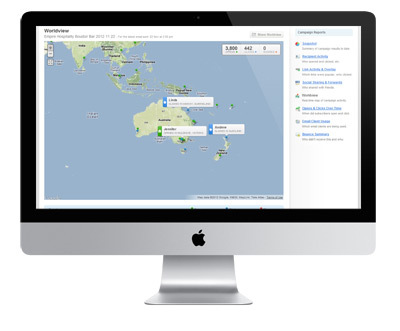 Maintain a single view of your customer across all sales channels. Rich Analysis Hundreds of standard reports included. 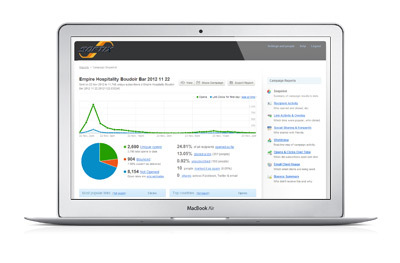 Build your own custom reports to analyse any facet of your business. Email Marketing Integrate with your existing email marketing service or use our full featured Campaign Manager service to deliver high quality email marketing to your customers. Data Warehouse Build a custom data warehouse using our built in ETL scripts, or use our data experts to create one for you. The box office made easy. Help your sellers focus on the customer, not the system. When box office sellers are under pressure right before show time, they need their ticketing software to help them, not hinder them. Our Aspect software is built to be simple and intuitive for new users, while rewarding expert sellers with powerful shortcuts and custom workflows. Aspect is fast, reliable and feature rich. It includes integrated customer management for all your channels including web and season ticket subscribers. The customer database can be extended with unlimited custom fields and segmentation options. The user interface is completely customisable and available in multiple languages. Workflows adapt automatically to each user's role and permissions allowing box office sellers to process high speed sales with a minimum of steps. Fast Sell Mode Sell tickets at speed to quickly reduce the box office queue. Fully Featured Quick access to customer data, history, event information and reporting, even when using Fast Sell box office mode. Interactive Maps Detailed interactive maps provide detailed, real-time availability and seat owner information to help you deliver a high quality box office service. Intuitive Your box office sellers should be focused on your patrons, not on their ticketing software. Aspect is intuitive and simple to use, without sacrficing access to features when they're needed. Integrate and Automate. Get the most out of your call centre with Aspect's integration options. From the box office to the call centre, Aspect adapts to provide just the features you need to improve your call centre operations. If your call centre features an IVR or natural language speech recognition system, Aspect can integrate directly to populate the operator's screen automatically as the call is transferred. Even partially processed transactions can be transferred between automated systems and an operator ensuring the best possible service and shortest call times for your customers. Sellers have access to a flexible CRM database that can segment your customers any way you like and with unlimited custom fields you can capture the data you need in the way you want. Our focus on keeping Aspect easy to learn and use means your call centre training costs can be drastically reduced. Memberlink. White label season ticketing with real-time ticket system integration. Does your season ticketing solution require you to manage separate allocations from your daily ticketing? Do you have to wait for hourly or manual updates between disconnected systems? 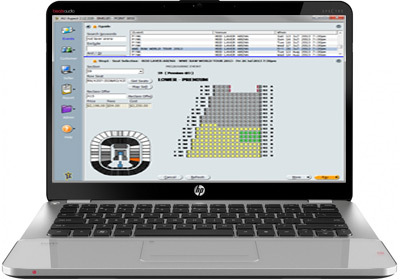 Softix Memberlink gives you a fully integrated, real-time season ticketing solution with full white label capability. 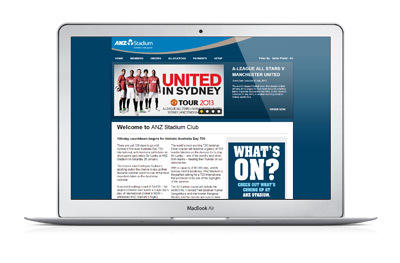 Sports teams and arts organisations can customise Memberlink to match their look and feel and data capture requirements, presenting a unified brand to their fans and subscribers. Create any number of packages and products for sale to your members and target them at specific membership types and loyalty levels. Price, sales period and availability of any product or package can be automatically adjusted by member type. Packages can include event tickets, merchandise, food and beverage services, parking and virtually anything else you can think of. Event packages can include a fixed series of events, or a choice of events. For season ticketing and membership managers, Memberink include configurable seat allocation workflows, extensive reporting, data integration capabilities and easy to use content management tools for your white label portal. 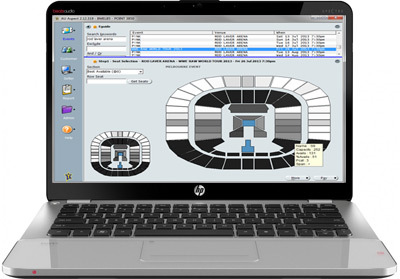 Real-Time Inventory Season and daily ticket inventory is managed from a single allocation in real-time. Maps are never out of date. Box office staff using Aspect have full, permission protected, access to Memberlink sales and member data. Fast Renewals Reduce your churn rate and increase self-service rates with Memberlink's one-step fast renewals process. Let your team focus their service efforts on members with complex requirements. Configurability Change your look and feel, data capture fields and rules, add payment plans and self-manage your online content and advertising. Email Marketing Memberlink integrates seamlessly with Campaign Manager so you can deliver rich, branded email communication to your members with details tracking and reporting. Take your ticketing business beyond ticket sales. Smart ticketing companies are more than just transactional businesses, they’re event marketing experts, driving sales and incremental value for their clients. The Softix platform gives you the data, analytics and integration capabilities to transform your business into a digital and social marketing success. Event genres and customer preferences are fully configurable to match your market. With detailed preference and behavioural data captured across channels, you can deliver highly targeted marketing campaigns that maximise the value of every marketing dollar spent. Our web and mobile platforms deliver rich content and interactivity that will increase customer engagement and drive sales. Unique features like Invite-a-friend and the extensive social network integration in our online platforms will help you turn your fans into your most trusted marketers. Detailed reporting and analytics help you measure your effectiveness across all channels, not just online. With Campaign Manager, you can enable your venue and event organiser clients to send high quality, permission based, email marketing from an integrated, feature rich email marketing solution. Softix first launched Invite-a-friend in 2007, creating the world’s first social ticketing experience. Invite-a-friend makes it easy for your most connected and loyal customers to organise a group of friends to attend live events. Instead of having to pay for all the tickets, they simply purchase their own seats and place some extra seats next to them on hold for a limited time. They can then share a purchase link for those seats with their friends, who pay for their own seats and have their tickets delivered in the way that suits them. With Invite-a-friend, you control how many seats can be placed on hold and for how long they remain available on a per event basis. 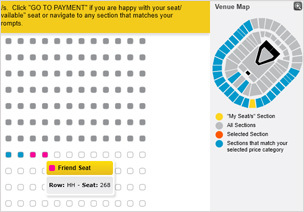 Through Insight, event promoters have real-time visibility of seats held by customers using Invite-a-friend. The power of peer recommendation to drive sales for your events, and the opportunity to interact with new customers deliver ongoing benefits to your business. On average, sixty percent of people who purchase seats held by a friend are new customers. Our online platforms also feature deep social integration with open graph meta tags in event pages, Like, Tweet, Follow and Google+ widgets, and the ability to quickly and easily add hundreds more social plugins. Customers can even share event details directly from their mobile ticket. As always, we can integrate with your preferred social analytics tool such as AddThis or Google Analytics to track all the social interactions across your channels. Instant Data. Your business is real-time, is your decision making? Real-time reporting is often the first feature to go in the name of improved performance. Not with Softix. When hot events go on sale, everyone has a lot at stake. Without access to quality, real-time data, decision making slows. If you don't roll that extra show at just the right moment, you're hurting the bottom line. 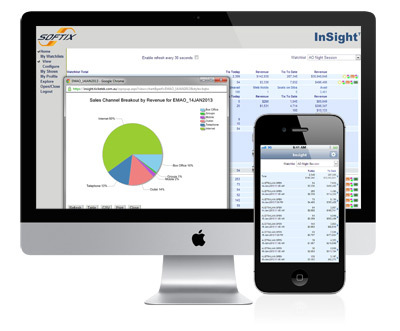 Insight gives your clients access to real-time, web based sales data on desktop and mobile devices. Not only can Insight tell you how many seats have sold, it can also tell you how many more are currently in shopping baskets about to be purchased, helping you make smarter calls about exactly when an event will sell out. Insight display data in tables and charts according to your preference, and you can download up to the second data to Excel at any time. With InfoStream, you can deliver rich, interactive, web-based reporting and analytics to internal and external users. InfoStream allows you to schedule reports for delivery in a range of formats and opens up all the data in your Softix system so that you can create any custom report you can think of. You can also connect it to other data sources and combine these with your ticketing data.